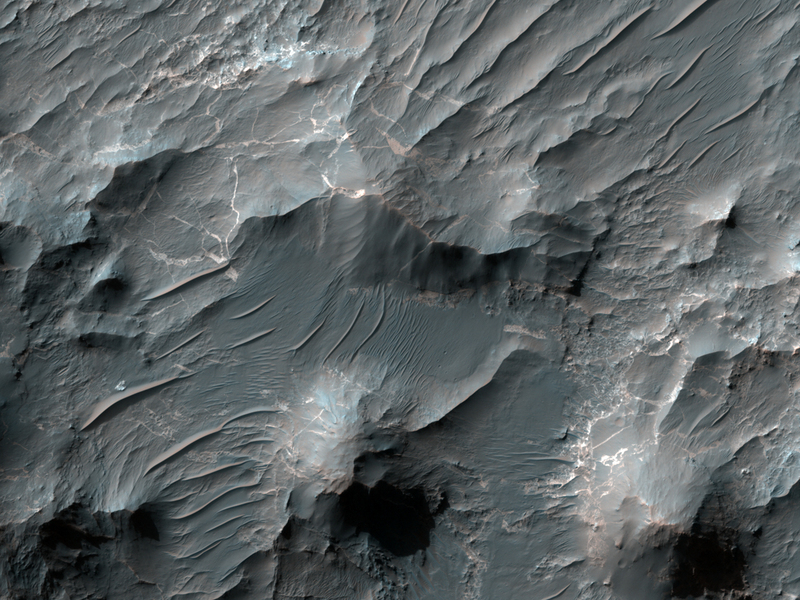 This observation reveals layered deposits on the floor of Uzboi Vallis. These deposits were emplaced when drainage along Uzboi was blocked by the formation of the rim of Holden Crater to the north. Water ponding on the floor of the valley created a short-lived lake that eventually rose and overtopped Holden’s rim. As the Uzboi lake drained into Holden crater, water flowing along the floor of the valley eroded and exposed these layers. This is a stereo pair with PSP_010329_1525.